You’re done with leftovers, now move onto just the new stuff! 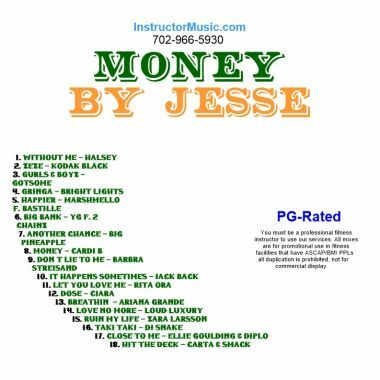 Jesse’s latest fitness mix features Top 40 and club hits that are certified fresh! Highlights include “Ruin My Life”/Zara Larsson, “Without Me”/Halsey, “Close To Me”/Ellie & Diplo and “Don’t Lie to Me”/Barbra Streisand. There’s also some rhythmic crossover jams like “Zeze”, “Big Bank” and “Taki Taki”. This mix is PG-Rated.